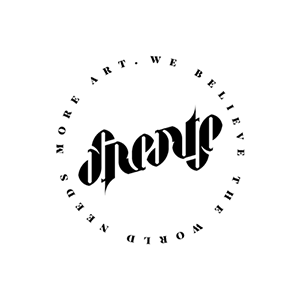 Frente is an internationally recognized design studio focused on developing creative concepts and visual language for brands, companies and, at the heart of it all, people. Created in 2013, it has always positioned itself as a cutting-edge studio, integrating tactile and visual solutions with analog and digital techniques, as well as maintaining strong commercial positions, working only with standalone projects, without consultancy contracts. Also, the studio focuses on clients with consistent and similar positions with the line of thought of the studio, open to projects that offer not only a solution to a problem, but that can contribute significantly to the visual culture and new understandings regarding the involvement between brands and people. Frente é um estúdio de design com reconhecimento internacional focado no desenvolvimento de conceitos criativos e linguagem visual para marcas, empresas e, no centro de tudo isso, pessoas. Criado em 2013, sempre se posicionou como um estúdio de vanguarda, integrando soluções táteis e visuais com técnicas analógicas e digitais, além de manter posições comerciais fortes, trabalhando apenas com projetos autônomos, sem contratos de consultoria. O estúdio se concentra em clientes com posições consistentes e similares com a linha de pensamento do estúdio, aberto a projetos que oferecem não apenas uma solução para um problema, mas que podem contribuir significativamente para a cultura visual e novos entendimentos sobre o envolvimento entre marcas e pessoas. Com projetos selecionados em diversas publicações internacionais, incluindo cinco livros especializados em design de identidade visual, o estúdio também foi destaque no site Dieline, referência mundial em projetos de embalagem, na revista Computer+Arts Brasil, em uma matéria que selecionou profissionais brasileiros para dicas sobre como se manter criativo, além de ser o único estúdio brasileiro a receber um Merit Award na premiação internacional Hiiibrands de 2014. Em 2016 a tipografia Frente H1, desenvolvida pelo estúdio, foi escolhida para os títulos e créditos da série de TV Roadies, dirigida por Cameron Crowe e produzida pela Warner para o canal estadunidense Showtime. No início de 2017, o estúdio foi selecionado, junto a mais quatro escritórios brasileiros, para a edição de fevereiro da revista alemã Novum – World Of Graphic Design, que teve o Brasil como temática. A Novum é uma das mais antigas publicações sobre design gráfico, editada desde 1924, considerada referência por profissionais do mundo todo. With projects selected in several international publications, including five books specialized in visual identity design, the studio was also featured on Dieline, a world reference in packaging design, in Computer+Arts Brazil magazine, in a subject that selected Brazilian professionals for tips on how to stay creative, as well as being the only Brazilian studio to receive a Merit Award at the 2014 Hiiibrands international awards. In 2016, the Frente H1 typography developed by the studio was chosen for the titles and credits of TV Roadies series, directed by Cameron Crowe and produced by Warner for the American channel Showtime. In early 2017, the studio was selected, along with four other Brazilian offices, for the February issue of the German magazine Novum – World Of Graphic Design, which had Brazil as the theme. Novum is one of the oldest publications on graphic design, edited since 1924, considered by professionals worldwide. World Brand & Packaging Design Society. London, United Kingdom (Online, 2018). Concept, Visual Language and Packaging Design for ‘Dália Sabor da Fazenda’. Dieline: The Beer From Ipanema, category: Beer & Malt Beverage. Curated by Casha Doemland (Online, 2018). Visual identity and packaging design for Ipanema Beer. Novum, World of Graphic Design, 02.17. ISBN: 978-3-8307-X021-8 (Munich, 2017). Special edition about design in Brazil. Color Code: Branding & Identity. Sandu Publishing (Hong Kong, 2016). Visual identity and stationery design for the architecture studios Muram and Intus. Logo Decode: From Logo Design To Branding. Sandu Publishing (Hong Kong, 2016). Visual identity and stationery design for Acto. Roadies. TV show from Showtime/Warner, directed by Cameron Crowe (2016). Typeface Frente H1 featured on the main titles and credits. Dieline, category: Beer & Malt Beverage. Curated by Theresa Christine Johnson (Online, 2016). Visual identity and packaging design for Salva Craft Beer. Designing Your Identity: Stationery Design. Sandu Publishing (Hong Kong, 2015). Visual identity and stationery design for Acto. Visual Harmony: Proportion in Graphic Design. Sendpoints Publishing (Hong Kong, 2015). Visual identity and stationery design for Frente and Muram. Museu da Casa Brasileira Design Award. Poster Award finalist (Sao Paulo, 2014). Hiiibrand Awards. Merit Award, professional category (2014). Visual identity for Luia. Computer Arts Brasil. Ed. 84. 21 dicas para ser mais criativo, interview given to Caio Narezzi (Sao Paulo, 2014). Branding Elements: Logos 3. Sendpoints Publishing (Hong Kong, 2014). Visual identity for Luia (featured on the cover of the issue) and Frente.